I’ve written recently about fragrance, and of the memories associated with it, but I’ve been reading ‘The Essence of Perfume’ by the incomparable Roja Dove and so my thoughts are still on the subject. I had the great fortune to meet Roja last year and listen to him give a talk on fragrance, during which he tested us with a series of different scents on white paper strips. He also had with him the original series of bottles in a case from which Mme Coco Chanel chose number 5, giving rise to the perfume of the same name. As you might imagine, it was a great thrill to see them first hand. He is an incredible speaker, and has a great ability to hold an audience completely captivated. I could have listened to him all night. The sense of smell is developed when we are young, so memories associated with certain smells are imprinted onto our minds. When we smell the same thing as adults, the memories return. This explains why I have a great fondness for the smell of crayons, sweaty horses, old books, mouldy Barbour jackets, cut hay and new trainers! I have quite a number of books on perfume, one of which is ‘Perfumes The A- Z Guide, by Luca Turin and Tania Sanchez. It is, simply, one of the best, funniest and most entertaining books I have ever read. I highly recommend it. What I’m interested in now, and what will form the next few posts on fragrance, is where my thoughts on other perfumes differ from the thoughts of others simply because of my memories of them. So I am planning a series of posts about this, but I am really interested to know what are your favourite smells, fragrances, perfumes – and why? ‘Sit with someone and breathe in their scent and they give you one of the most beautiful of all gifts – the gift of memory. You may not have seen someone for years, but with one breath of their scent, the memories come flooding back, dreams are revived, love is rekindled.’ Roja Dove. Thank you! 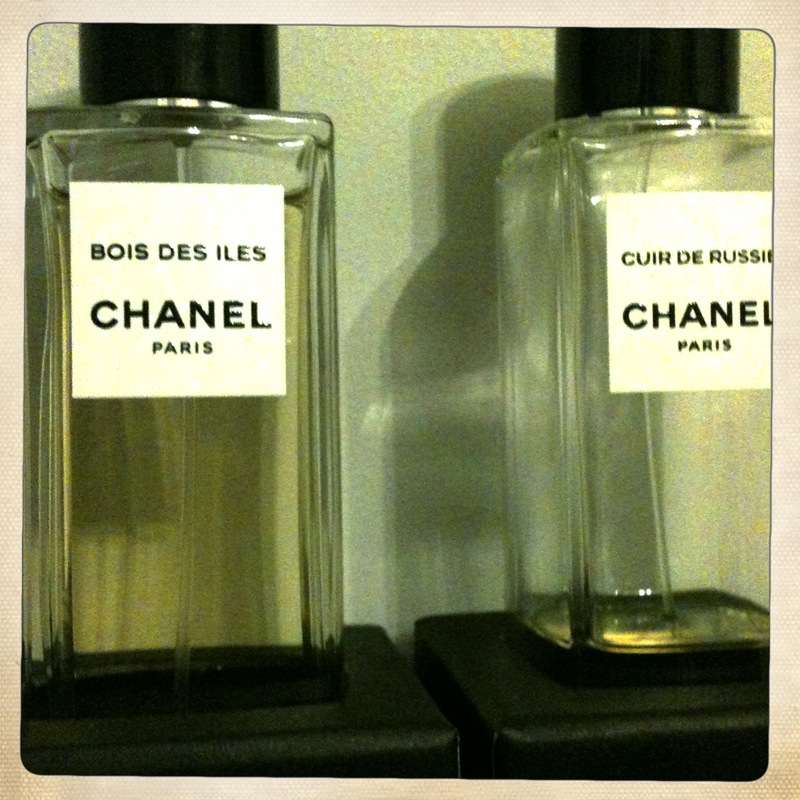 I do love the stories behind the legendary fragrances too, I’m finding it a wonderful subject to study. Hi, what a great post, I love Bois des Iles. I don’t own a bottle of it (yet) they seem to only sell it in the gigantic sizes! 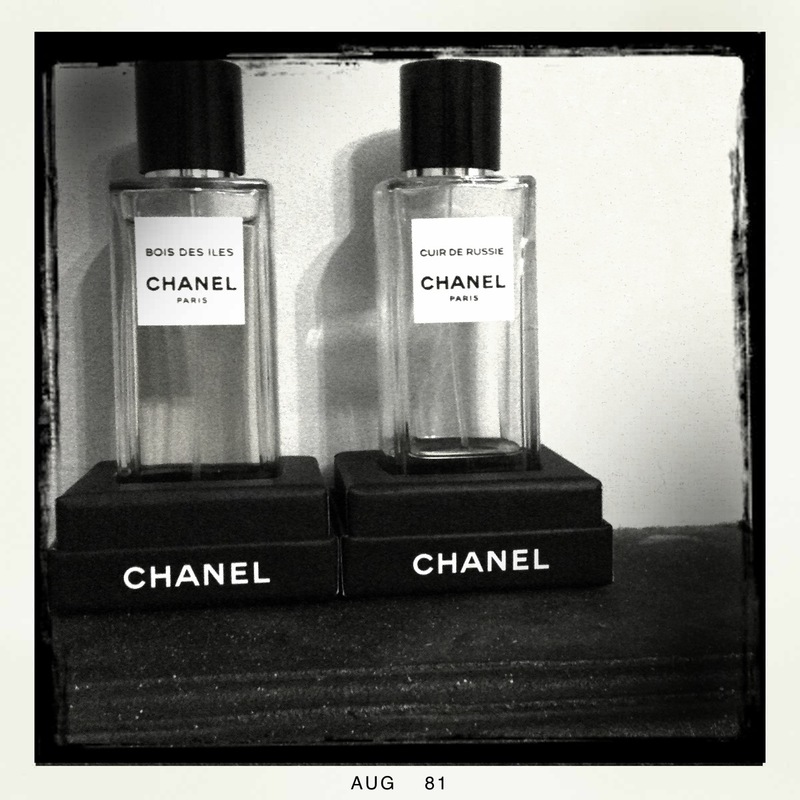 I am a huge Chanel fan and never get tired of anything Chanel related. By new favorite is going to see the Chanel boutique windows on 57th Street in NYC. In fact, I need to go back soon, see what they have featured, and take pictures. Thanks for joining my blog, I found you on Twitter and followed. It’s nice to meet another lady who is balancing fashion and parenting! Thank you – I am very thrilled to find that there are other women out there who are juggling parenting and fashion (amongst other things!). I was beginning to think that only 17 year olds had fashion blogs. Although some of them are beautiful, it’s difficult to relate. I would love to see some more photos from your Chanel store visits. I live in the north of England, so my closest store is quite a long drive away. I make up for by an annual Paris trip, but I would love to have a store closer to home – although I doubt my bank balance could take it! Bois des Iles is probably the best perfume I have ever come across. I think they only sell in 100ml bottles though? Can’t quite remember. I do know that I’m saving up to get a replacement for the one my darling daughter broke! I’m following you too, look forward to reading your blog again soon.